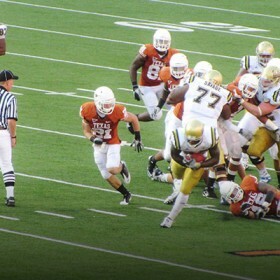 After falling short to the Sooners last week, the Longhorns are looking to get back on the winning track. The team will face Iowa State Saturday evening. Join us to watch all the action! The Longhorns will meet No. 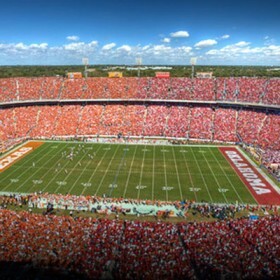 11 Oklahoma Saturday in Dallas for the AT&T Red River Showdown at the Cotton Bowl. Join us to watch all the action! Game watching parties are open to all Longhorn fans. Bring your friends and family. 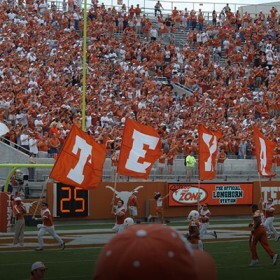 Wear Burnt Orange! 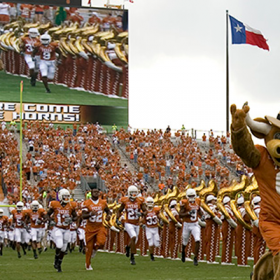 After defeating the Jayhawks in their Big 12 Conference opener, the Longhorns will face No. 7 Baylor on Saturday, October 4 at 1:30 p.m. Join us to cheer on our team! Game watching parties are open to all Longhorn fans. Bring your friends and family. 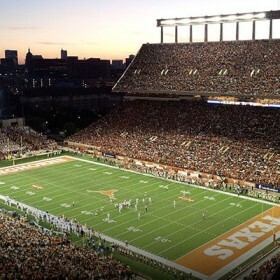 Wear Burnt Orange! all Longhorn fans. Bring your friends and family. Wear Burnt Orange! SATURDAY, SEPTEMBER 27 | 2:00 P.M. The Longhorns look to bounce back this Saturday against the Bruins. Joins us to cheer on our team! Game watching parties are open to all Longhorn fans. Bring your friends and family. Wear Burnt Orange! SATURDAY, SEPTEMBER 13 | 6:00 P.M. 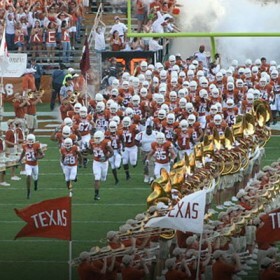 The Longhorn football team will make their Strong debut against North Texas this Saturday. Join your fellow Texas Exes and watch this exciting new era begin. Wear Burnt Orange! Game watching parties are open to all Longhorn fans. Bring your friends and family.